Your Cost of Attendance (COA) is an estimate we make based on a combination of factors. The COA is a critical part of the formula in how the government calculates your financial need. The COA includes the current costs of tuition, books, and living expenses for the 9-month academic year (October-June). The COA only includes educational costs. The figures below reflect the COA for Bellevue College for 2018-2019. 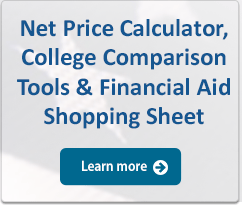 Try the Net Price Calculator, another tool for estimating your total costs.